The midgame is the most complicated and difficult part of a chess game. All of the pieces are in play, and there are complex maneuvers and tactical battles. The game sometimes ends in the midgame. There are three main strategies for playing the midgame. 1) Attack: To win a chess game you must attack. If you hang back and let the opponent do all of the attacking, then you will never win. Sooner or later your defenses will crumble and one of the opponent’s attacks will break through and beat you. You must attack to win. Look for weaknesses to attack. It is much easier to attack weaknesses than it is to attack strengths. 2) Defend: Most players like to attack, but do not like to defend. It is more fun and exciting to attack. But you must also defend yourself when the opponent attacks you. If you spend all of your time attacking and no time defending, even a weak attack from the opponent might beat you. You need to balance attacking and defending, and spend some time on each. Sometimes you can do both at the same time, or maybe you can counterattack. 3) Use Tactics: Tactics are the heart of chess. They happen all the time in every game, but mostly in the midgame. You can use tactics in many different ways. One way to use tactics is to win material. When you win material, you have more pieces and more points, and you have a better chance to win the game. You can also use tactics to improve your position or to create weaknesses in the opponent’s position. Tactics are divided into eight groups, with three related tactics in each group. The best move to find in any chess game is checkmate. No other move is as much fun or as exciting. 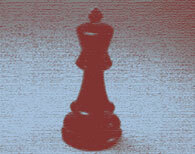 However, if you are going to find checkmate you must know what to look for. 1) Look for check: You should always look for check. It must be check before it can be checkmate. Check is a forcing move, a move to which the opponent must respond. Find all of your moves that are check. One of them might be checkmate. It is very likely, though, that none of them are checkmate. Not every check is checkmate. However, a move that is check might lead to a move that is checkmate. 2) Look for escape squares: Look at all of the squares around the opponent’s king. If you were to put the king in check next move, would it have any way to get out of check? If the king can move to get out of check, then it has one or more escape squares, places for the king to go to get out of check. It may be better to attack the escape squares first before you put the king in check. Or, maybe you can put the king in check and at the same time attack some of the escape squares. 3) Look for sacrifices: Sacrifices are difficult for beginners to understand. A sacrifice occurs when you give away more than you get back. Why would you want to do that? The answer is you expect to get back even more later. When you are looking for checkmate, look for sacrifices to expose the opponent’s king or to remove some of its defenders. A sacrifice will often put the opponent’s king in more danger than it was in before. You may give away more than you get back, but it will be worth it if you can get checkmate. Make sure that you can force checkmate, though. A sacrifice that does not work is just a give-away. 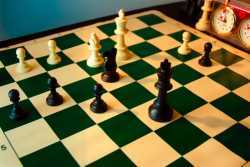 Chess strategy: what do you need to know about strategy and tactics? The advice is true in itself but veers towards the obvious! Not much good either without examples!